Kaiserslautern, May, 2012 - The manufacturer Dinnovative GmbH developed the first mouth guard with radiation protection worldwide. The integrated patent-pending Ding-Filter&REG; cleans aspirated air of polluted particles and ensures a significant reduction in radiation exposure. The new respiratory protection from Dinnovative therefore averts a life threatening contamination of blood circulation through the lungs. It also reliably prevents infection of bacteria, viruses, and fungi as experienced during flu outbreaks, for example. This innovative respiratory protection from Dinnovative GmbH is immediately available in all pharmacies throughout Germany under PZN 9642817 for a price of 11,90 EUR. 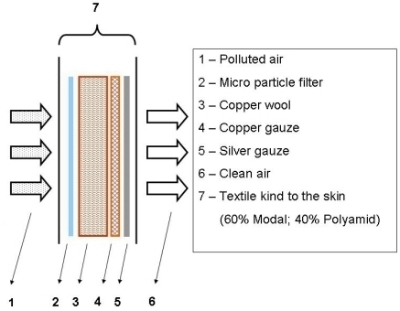 The Dinnovative mouth guard filters out radioactively contaminated particles in the air through a specially designed insert made of copper mesh and -wool. In addition to the extensive protection against alpha- and beta radiation, the Ding-Filter&REG; also provides the best shielding against gamma radiation with an attenuation factor of 2-10 at energies of 10-100 keV. The new Dinnovative mouth guard thus offers much better defense against radiation than other protection masks. Those allow radiation to pass through freely and, after a while, are themselves contaminated. The new mouth guard from Dinnovative is, therefore, preferred in case of a reactor incident or accident, since it demonstrably ensures the better health protection for the population outside of the exclusion zones. The respirator mask also protects against radiation from a nuclear bomb. 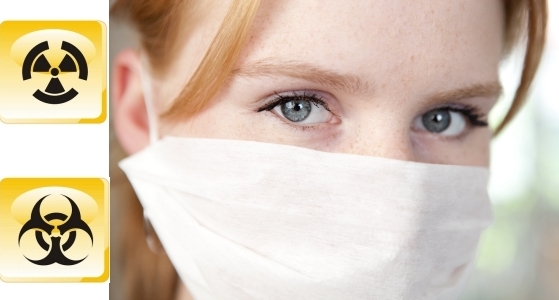 The new Dinnovative respiratory mask also protects from bacterial, viral, and fungal infection. For this purpose, the mouth guard is made of a cushion of copper wool, copper gauze, and a cloth of silver fibers. The ions of the integrated metals silver and copper bind the pathogens to the large wool surface and evidently kill them off. 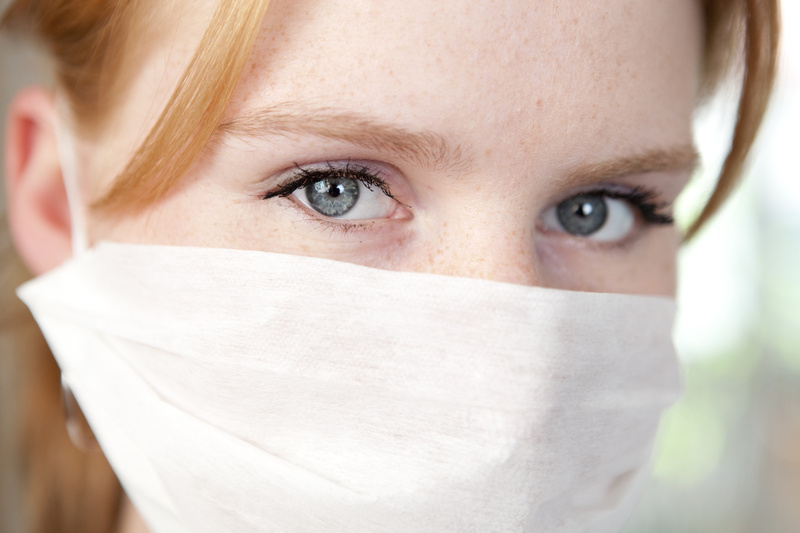 Since the mask does not contain any chemical biocides but strictly physiologically harmless silver- and copper fibers, there is no health risk posed by the respiratory protection itself. The Dinnovative mouth guard is as light as a customary mouth guard and easy to handle without professional training. The shelf life of the mask is almost unlimited and therefore fulfills all criteria for a long-term care plan. The Dinnovative GmbH designs innovative special filters for various uses at their headquarters in Kaiserslautern as well as at their branch in Peking. As specialist in filtration technology, the company has the world's first respiratory protection, which demonstrably minimizes radiation absorption through the air. The basis for this is the international patent pending Ding-Filter. Due to its nature, the Ding-Filter is flexibly adaptable to any requirement and can be installed, for example, in air conditioners and ventilation systems in buildings, cars, and airplanes.